Home / charts / The Script / The Script score fourth UK No. 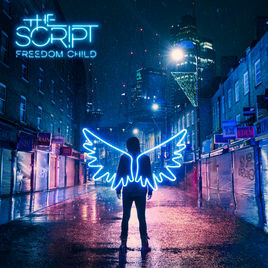 1 album with "Freedom Child"
The Script score fourth UK No. 1 album with "Freedom Child"
The Script have scored their 4th UK No. 1 album with their 5th studio album Freedom Child. Congratulations! Holding its spot at No. 2 we have Ed Sheeran's Divide (÷) and debuting at No. 3 we have LCD Soundsystem's American Dream. Os The Script conquistam esta semana o seu quarto álbum #1 no Reino Unido com Freedom Child, o quinto álbum da banda. Parabéns! A segurar o #2 temos Divide (÷) de Ed Sheeran e a entrar no #3 temos American Dream dos LCD Soundsystem.